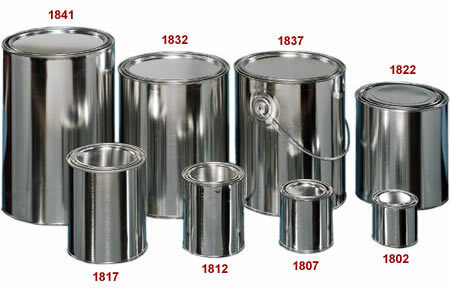 Metal paint cans are constructed of the finest quality tin-coated steel. Available from 1/4 pint through 5 quart (imperial gallon). They can be supplied with or without handles. We stock unlined cans for oil based (solvent) paints and epoxy lined cans for water based materials as well as some chemicals. Covers are provided with the cans.